buy yourself a Glo sim card for as low as 1Ghc Only. or if you already have one, then start following the method immediately to achieve free browsing, I will also like you guys to read carefully as i don't wont any member to complain its not working..
To Force this cheat to open gmail. 4. Enter your email address and password, Just enter your Google account information and sign in... Enjoy . * kproxy is working with this cheat and is faster too, using Google search engine, Gmail and more, it also opens all sites. After following the steps carefully I was able to connect. But I had about 70 pesewas. I'm now getting the "connection terminated" error after the credit ran out. Is anyone else able to connect on zero balance? Able to connect now on zero balance. After several attempts. I'm now connected to hackGh for this update. I'll monitor the connection and give further updates. This cheat works perfectly than i even thought.. Its so fast when i browse. 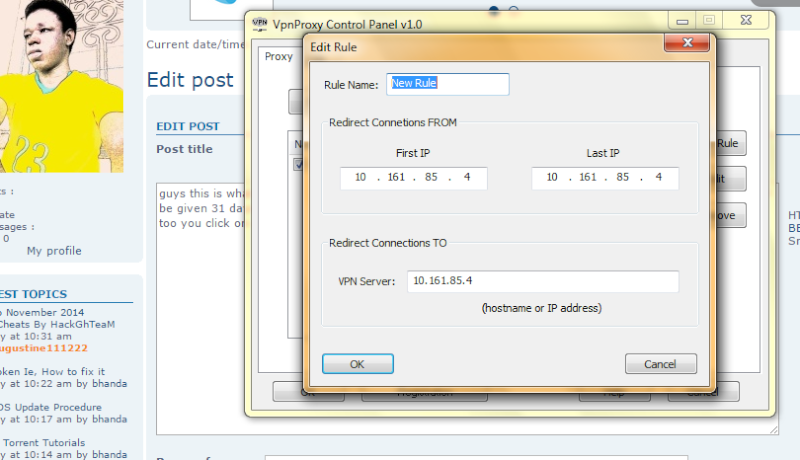 I'm now going to work on how to make it faster with any vpn and also another way to open the sites that we are not able to open as at now, then post my results here as soon as possible..
my modem connects successfully but cant open any site after insertin those ip and port in my browser[firefox]//.. any help bros? guys the cheat is working really fast especially in the evening i had a work around by using a web proxy called www.unblock.pk, i was on it all nite. also i inserted the glo proxy with the port into IDM at beginning it didn't work until i stream through a web proxy then i was able to download. i also tested the speed at dawn and i had 300kb to 500kb with SPEEDTEST but when i download with IDM i get the speed of about 80kb all at dawn. but this morning when i tried i had the speed of 30kb to 50kb which is quite good for the day browsing. 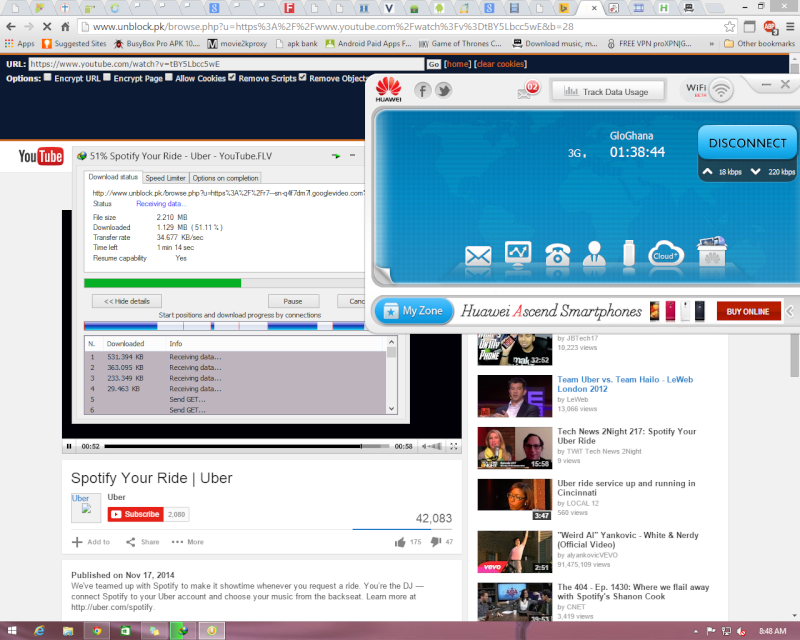 below is a snapshot i just took when streaming youtube at the same time downloading. kudos to admin and all the Hackgh team for this great cheat. long live HACKGH. 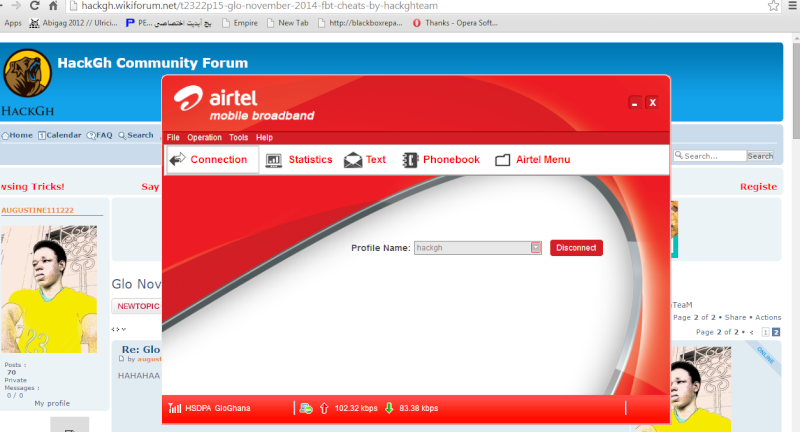 details:HTTP/1.1 403 Forbidden"...please any help????? you need to give more details, is your cheat working? 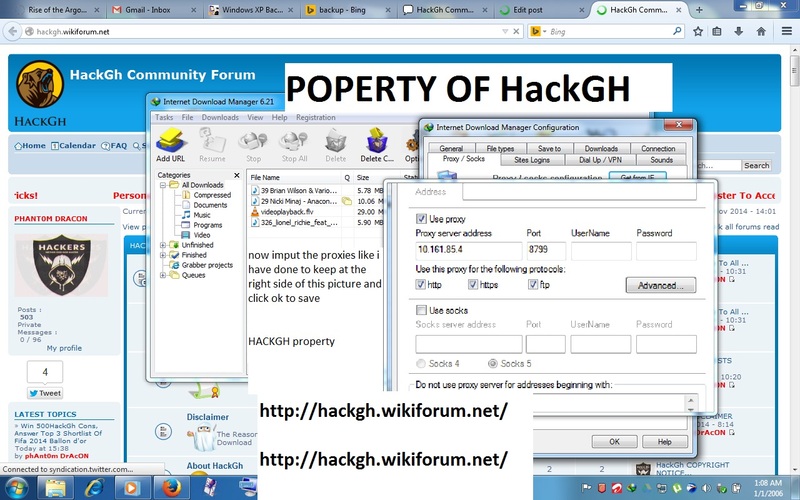 and able to open HackGH Forum, What proxy site did you use? make sure you put the glo Http proxy: 10.161.85.4 port: 8799 Just under the Http proxy in IDM first before you try to download through the web proxy www.unblock.pk or else it will not work. Kudos to the team and all the members of the forum for your contribution to the cooking of the cheat. Just tried it out and it works perfectly. I do have some concerns tho. Just want to know whether it works with bluestacks. If it does, i did like to know the procedure. I downloaded the track posted on the page and also opened youtube without any proxy. I even downloaded sarkodie's video track with samini but had a problem streaming the video. The idm captures the video alright but it doesn't stream.